On this pilgrimage we will walk through one of Hungary’s most beautiful landscape: the Balaton Uplands famous for its luscious wines. On our journey we will be accompanied all along by romantic ruins of churches and castles, charming small villages and most of all the miraculous panorama of the Balaton, the biggest freshwater lake of Hungary, in which we will have a few opportunities to take a dip after a day’s pilgrimage (only in summer). 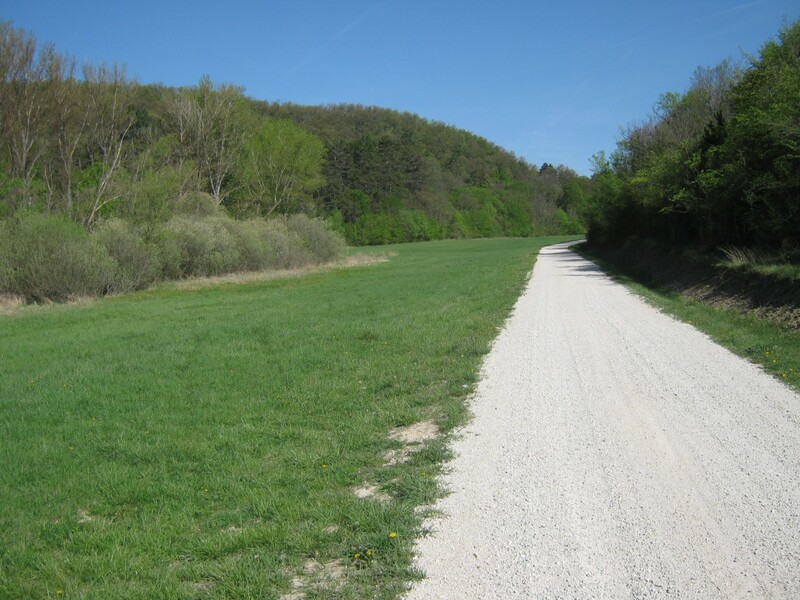 The path we take connects Hungary’s two outstanding ecclesiastical values: the millennium old Benedictine Abbey of Tihany and Sümeg, which became one of Hungary’s prominent shrine after the first miraculous healing took place in 1699. 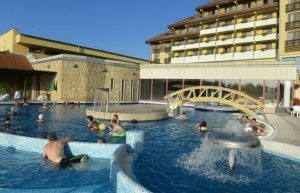 A medium size hotel just on the shore of the Balaton (50 meters), with a private beach and a wonderful view. The historical village of Tihany and the Abbey- which are on the hill are thus a bit further: 2.5 kilometres. A stylish and friendly guest house, converted from an old water mill, plus the cottage of the miller. All with full comfort. Historic pension converted from the protestant school of the village. 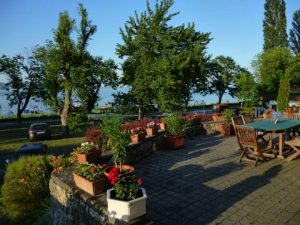 A lovely pension among the vineyards, with beautiful view on the lake Balaton, which is only half a kilometre away (the beach: 2 km). A superior hotel, with its own spa, and with all comfort. A luxurious hotel, with its own spa, which has won several awards in the last few years. 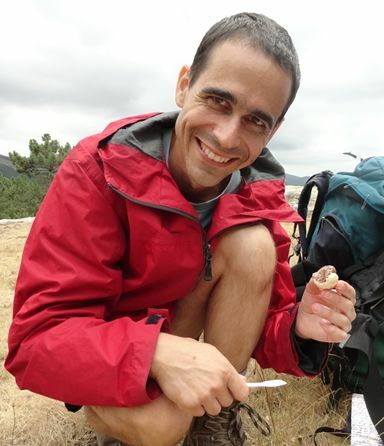 Of course you can also mix the two packages (e.g. : you want the basic package, but with the medieval knight tournament and wine tasting). In this case please contact us, and we will calculate you the best price possible. We will be waiting our guests at the rail station in Balatonfüred / Aszófő in the previously agreed times, and then take them to their accommodation by car. The programme will start after lunch at 2 pm, when we will discover Tihany. First, our guide will introduce us to the millennium old Benedictine Abbey of Tihany (church, crypt, exhibitions), then after a short break we will take a walk in Tihany’s Old Village, which has faithfully conserved the forms of the 19th century and folk building up to this day. 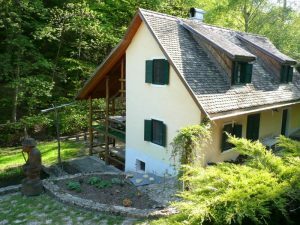 We will descend to the coast of the Balaton on foot, touching the millennium old hermit caves, which were considered the biggest hermitage of Central Europe and remained relatively intact. Towards dusk, when the noise has faded, it is worthwhile to return to the abbey to try the famous Tihany echo, also there is an opportunity to attend mass and vespers in the church (in Hungarian language). On this day our pilgrimage starts! Those who are interested can attend the Benedictine monks’ Hungarian morning prayer (laudes) very early. After having breakfast we will begin from the north coast of the Balaton, then at the neck of the peninsula we will reach the first church ruin on our pilgrimage, which was nicely reconstructed in the last few years. Afterwards our way will lead on the tarmac of the cycle track which goes all round the lake for 6 kilometres. 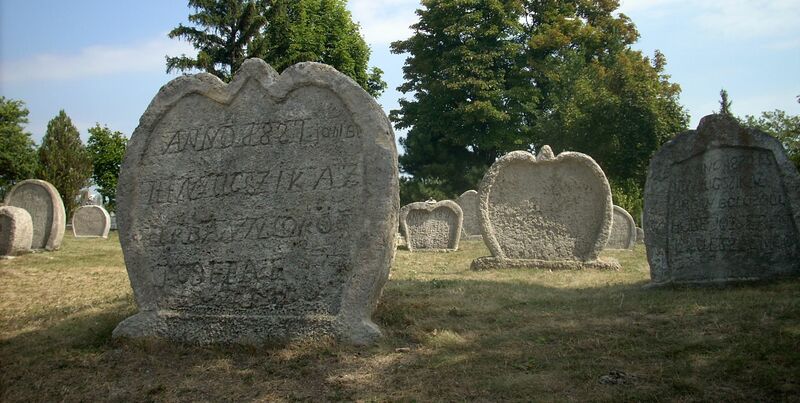 We will have a look at an operational watermill in Örvényes and the heart shaped gravestones in Balatonudvari. We distance ourselves from the Balaton coast then, and the rest of the journey will lead through vineyards and woods. This day is the only day of the pilgrimage when we take the majority of the distance (8 km) on tarmac. We set out from Vászoly, then arrive at Dörgicse, which was back in time composed of three villages. Three church ruins with an antique atmosphere, as is usually the case with medieval settlements, will delight us, the last one is perhaps the most beautiful on the Balaton Uplands. Our journey will lead through woods, meadows and vineyards to the day’s destination, Hegyestű, which offers a most picturesque panorama. The hill is no other than an extinct volcano, the interior of which we can see due to mining activities having taken place here. From here we will reach the nearby Monoszló village, the site of our accommodation, either by car or on foot. Today our journey will lead through and over the Káli Basin, the most beautiful part of the Balaton Uplands, where we will go past small villages. We will visit the building of the washing well in Köveskál, which is 300 years old and was built on a fountain, and where the women of the village did their washing till the 1950s. 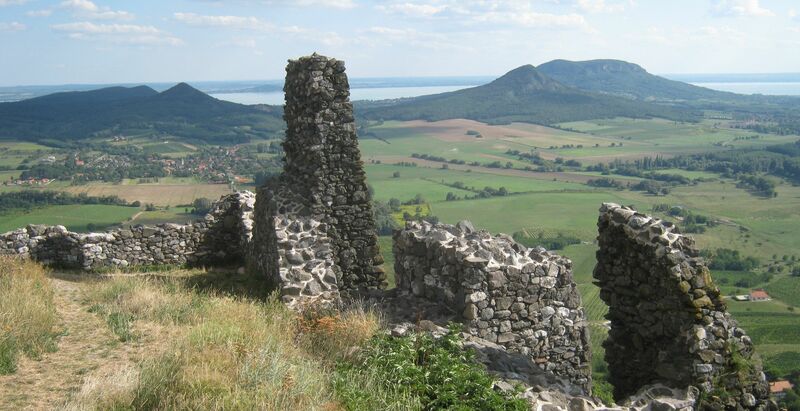 Then we climb Fekete Hill, which offers us a splendid panorama from the look-out tower towards the Kál Basin and the Balaton. 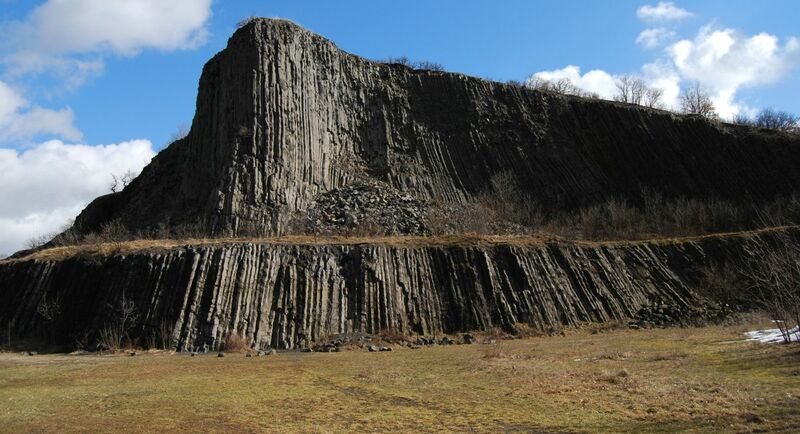 We can take delight in the famous “stone sea” near Szentbékkálla, where, with focussing all our strengths and skills, we may make a huge boulder move. Our journey ends in Mindszentkálla, from where we drive to Badacsony on the coast of the Balaton. As there are famous vineyards at the bottom of the hill, we can taste wines made from grapes in a local family vineyard. Having had breakfast we drive back to Mindszentkálla, where we left off our journey on the previous day. From here after climbing two hills we will reach Tapolca, the day’s destination. Both hills wait for us with nice views, but the top of the second hill, Csobánc, will provide an unforgettable panorama, so it is worth taking the steep slope. Here stood the castle of Csobánc till the end of 17th century, whose impressive ruins defy the tooth of time even today. From here we get to the Tapolca Basin, where we do the last section of the trip on cycle track. We take accommodation in Tapolca, then we go on a short sightseeing trip (church, castle ruins, Mill Lake and its surroundings, Lake Cave Visitor Centre), then we descend into the deep to discover the Tapolca Lake Cave. This day is the last field day of our pilgrimage, however, this one will take the longest of all. Despite this fact it may not be the hardest, because we do not have to face significant rising or falling slopes. The path itself promises to be monotonous: we leave Tapolca beside factory grounds, then having by-passed a derelict military exercise field we will reach the woods, which we will only leave just before Sümeg. With the woods behind our back the vision of Sümeg Castle will appear in front of us, then the towers of the town’s churches. Soon we arrive at Sümeg, where we can join in a medieval knight tournament and a feast. Today we get to know Sümeg and its castle. After breakfast we attend the mass in the Greyfriars’ church on an individual basis, then we set off on a sightseeing tour with the assistance of our guide. We will learn about the valuables of the Greyfriars’ church, then, we will discover the Parish Church, which is considered the baroque Sistine Chapel and the Bishop’s Palace. Then we take a course towards the castle, but we will have a look at the monumental building of the Bishop’s Granary together with the historical amusement park. We can get to the castle only on a steep slope, where we can have a look at the 800 years old castle’s buildings, ruins, which served as the seat of the Bishop of Veszprém. Our pilgrimage (Eat, pray, walk) offers a unique opportunity to walk through one of the most beautiful landscapes of Hungary: the Balaton Uplands famous for its luscious wines. 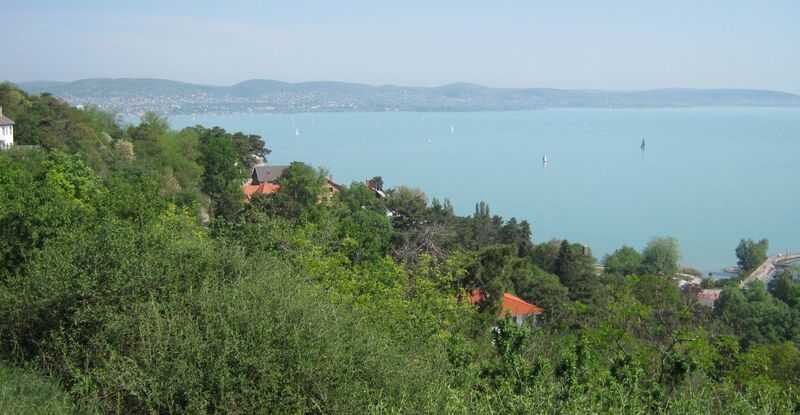 For me, lake Balaton means my childhood and summertime: my family spent the holiday on the coast of the fabulous freshwater lake of Hungary. On the one hand, there are so many things to visit: romantic ruins of churches and castles, the lake Balaton and Tapolca Lake Cave in which we can go boating as well. On the other hand, you will get to know the spirituality of the landscape: we meet the Benedictine monks in Tihany and the Grey Friars in Sümeg where we visit the well-known Marian shrine of Hungary. I hope that our pilgrimage on the St Mary Way crossing the Balaton Uplands helps you to discover not only the landscape and tastes but your inner life and peace as well.